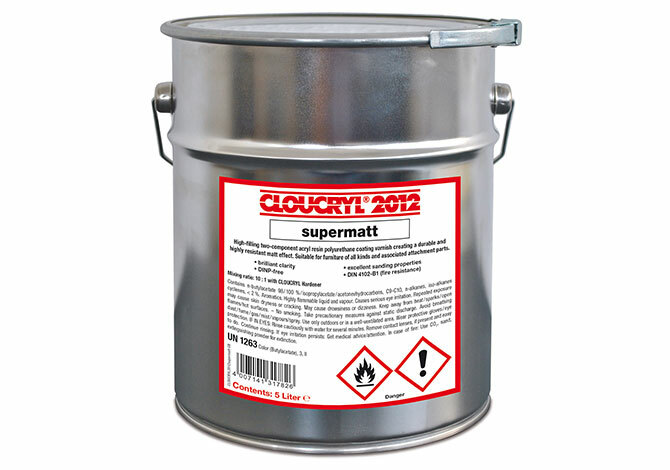 CLOUCRYL 2012 supermatt with an exceptionally high-resistant and permanent matt effect, lets surfaces appear near -natural and pristine. 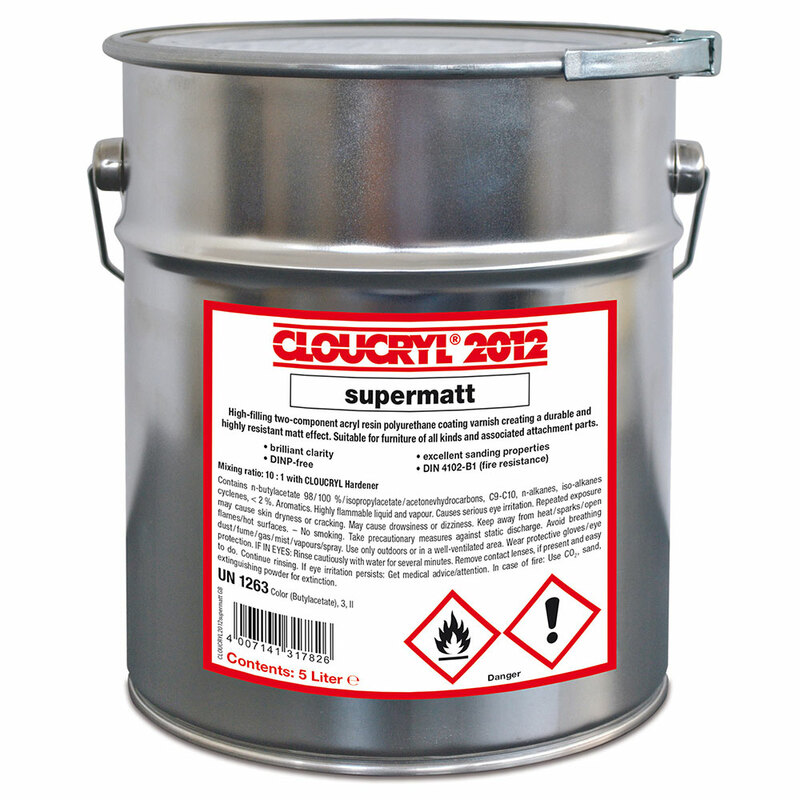 An especially scratch and abrasion-resistant two-component polyurethane acrylic resin for the priming and final coating of wood or wooden materials. For all kinds of intensively used furniture and associated mounted parts made of wood or wooden materials in all interior construction exposed to higher scratch and abrasion stress, as well as for the permanent preservation of the natural appearance of the type of wood.